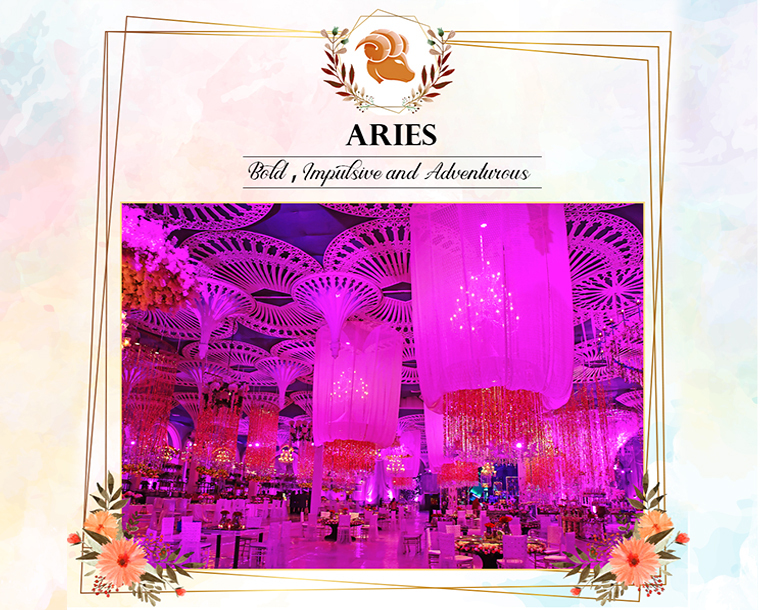 The signature style of an Aries is considered to be impulsive, bold as well as adventurous. They have a desire of having it all and they usually get it as well. Such tastes basically lead to a big fat Indian wedding with all the best elements and arrangements. People with this sign can’t compromise with something outdated or simple, therefore something really outstanding and grand will be their top choice. 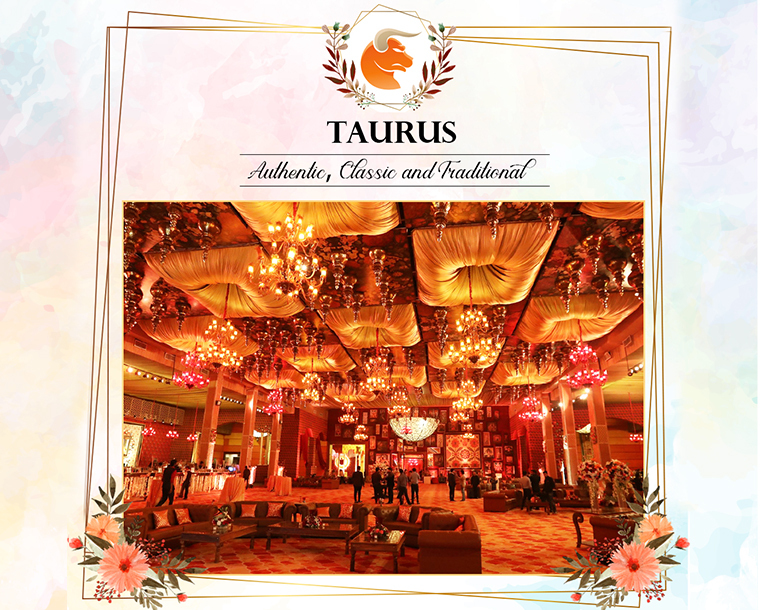 Taureans have a love for everything which is authentic, classic as well as traditional. 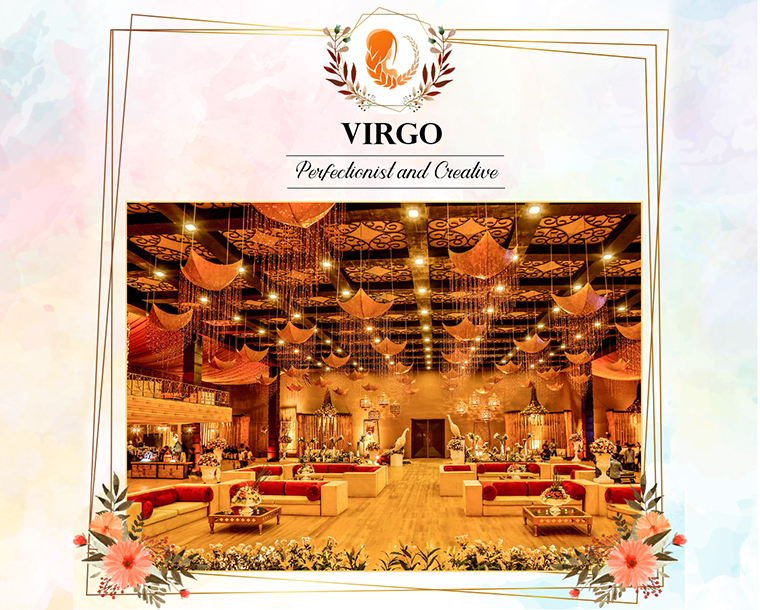 Therefore, when it comes to weddings these features will surely reflect their décor setting. You will surely find a Bollywood touch in their pre-wedding functions as well. When it comes to style Geminis are quite the opposite of traditional and what’s trending. 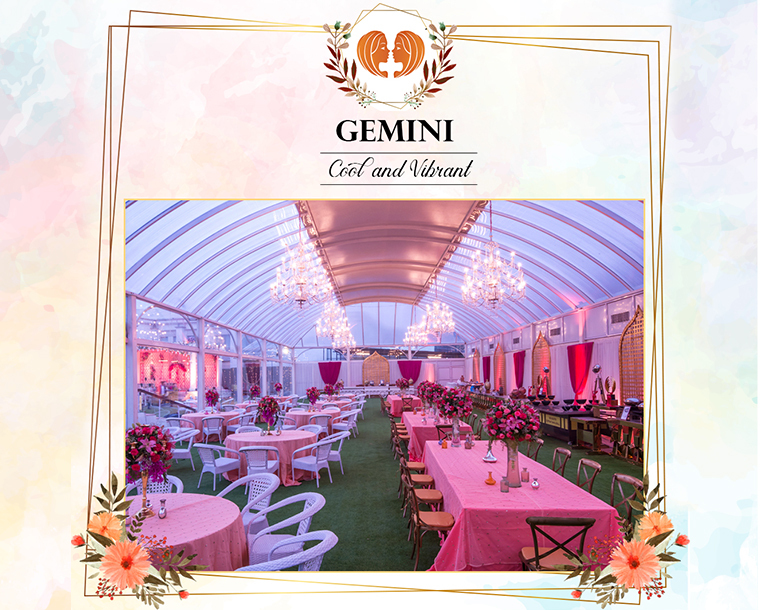 They are more into cool, vibrant and trendy themes when it comes to styling their wedding décor. 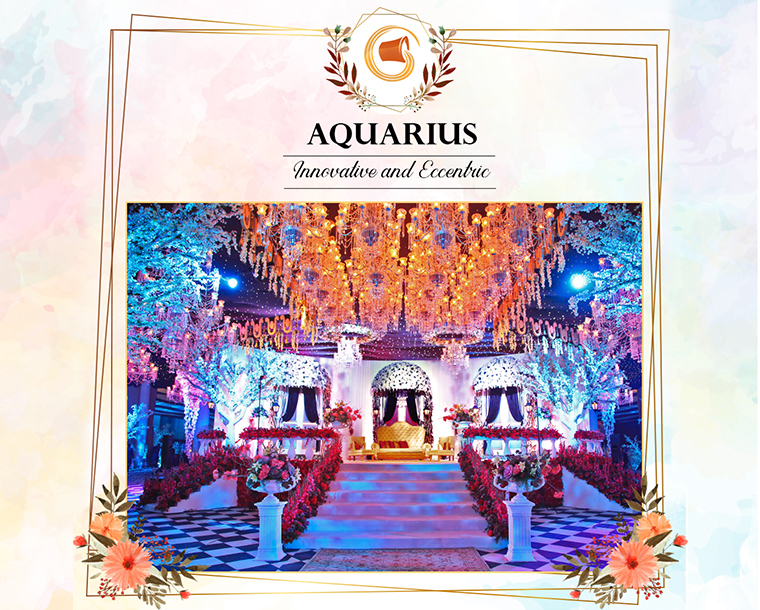 Different elements of their wedding venue such as wedding stage, theme and set-up will reflect their own instincts and mood. Cancerians are known to be delicate, sensitive as well as emotional. These characteristics stop them from experimenting something new or out of the box. So, when it comes to their wedding, they will certainly go anything really trendy or flashy. They will make ideal choices while choosing the venue, attire or even food. 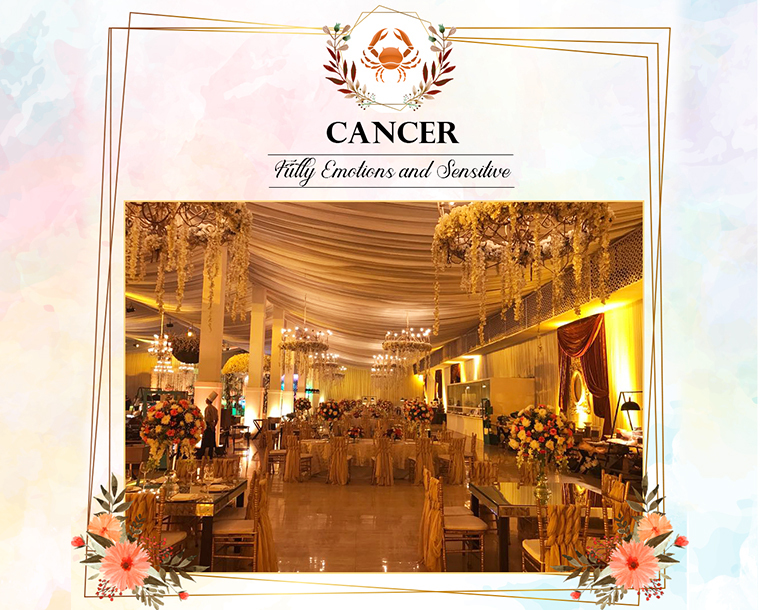 They are more of a fan of strong emotions prevailing at their ceremonies to be celebrated with their close family and friends. Leos are known to be royal and fearless. 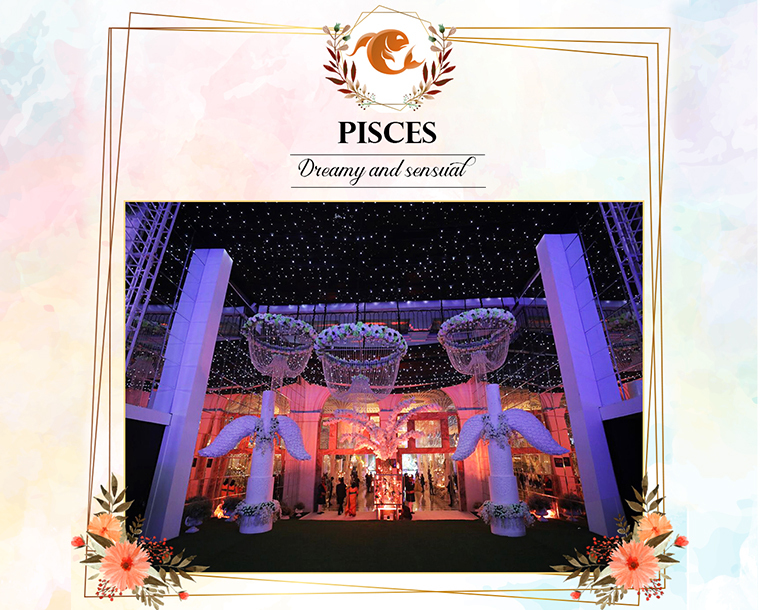 They are the lovers of larger-than-life and they want their wedding also to be grand, dramatic and impressive. People with this sign always desire to make a mark with their style and attitude. So, they will surely go for something lavish, designer and opulent that will convey their regal taste and passion. Virgos are all about perfection. They are keener on making their wedding distinct with giving importance to the accents as well as details. They have a thing for a fairytale dream wedding, with no room for any kind of compromises. 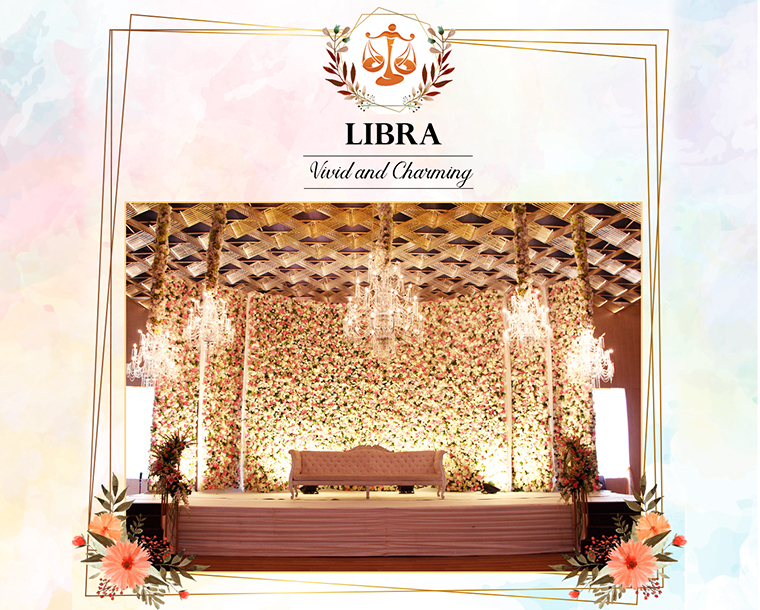 Librans have a liking towards vivid and charming elements. They get attracted pretty things like flowers, pastel colors and beautiful fantasy settings. They try their best to add all things pretty into their wedding as well like floral backdrops, stunning chandeliers and dreamy passages. 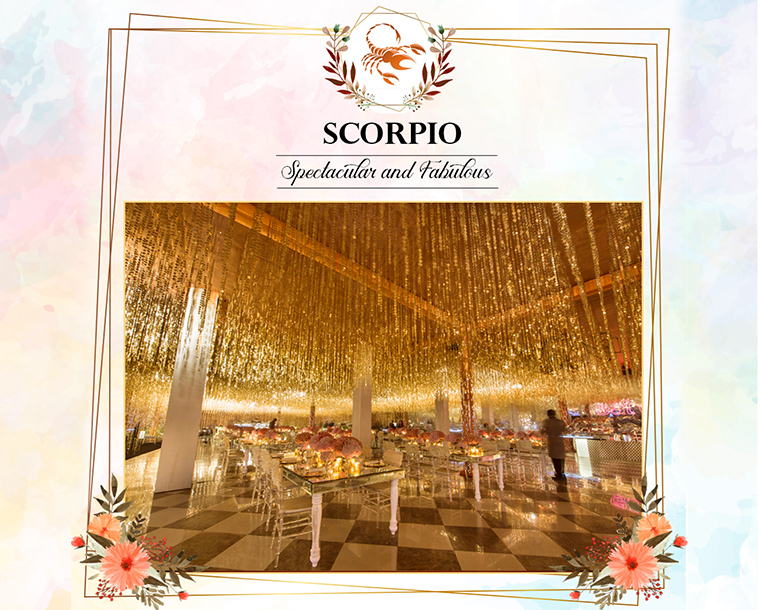 Scorpios have some amazing choices which are usually rich in nature, spectacular and fabulous in look. 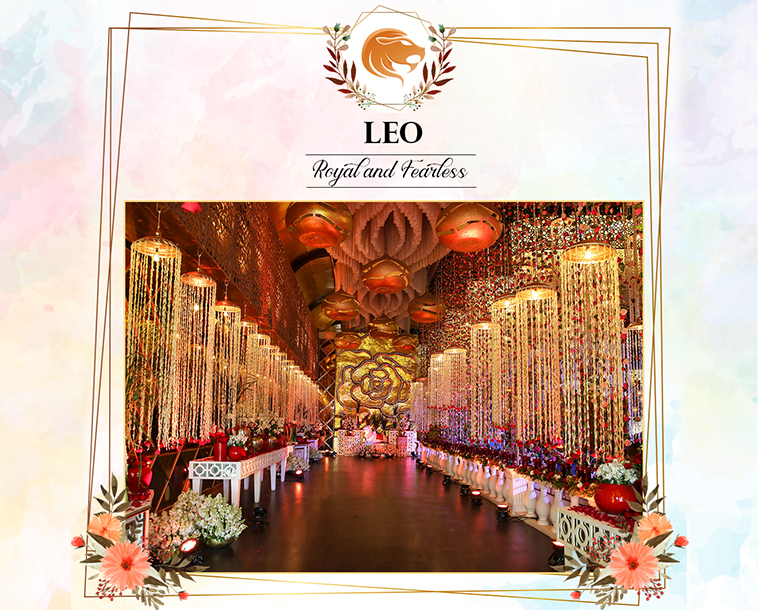 They dream of a wedding which includes a grand entry in a royal carriage, candle installations and a perfect ambience. They mostly get swayed away by glamour and fantasy which also reflects in their wedding as they always opt for never seen before elements. 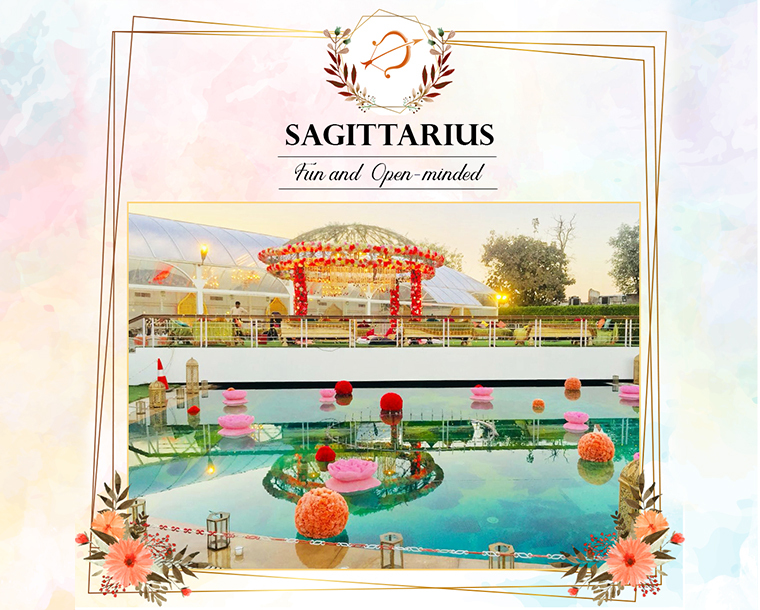 Sagittarius people are more of fun, loving and open minded. Therefore, they are more interested in making their wedding fun, funky and gorgeous. Their main focus would be adding thrill and amusement to their wedding with different activities and drama. 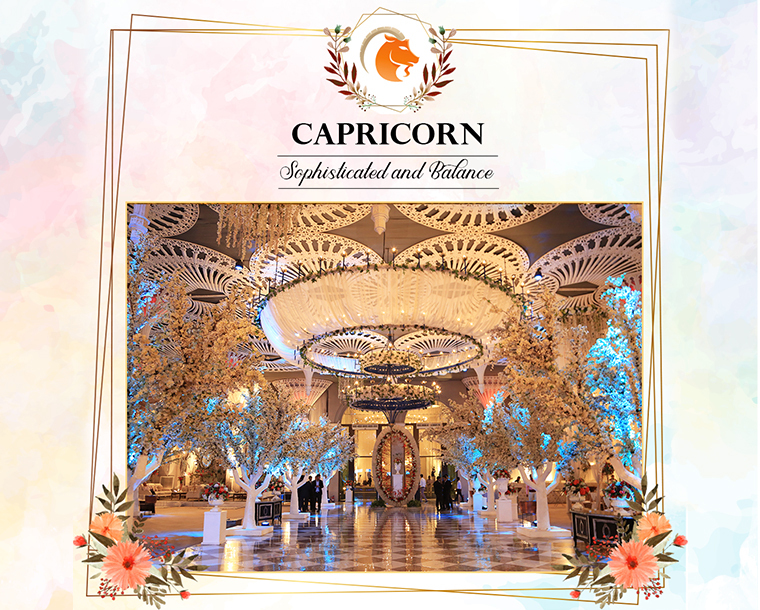 Capricorns usually look out for options which are sophisticated, sober, balanced and decent. Things that look organized and beautiful will always catch their eyes. They would love to add charming and sweet elements making their wedding look like pretty affair. Aquarians are more into things which are never done before. They are innovative and have a love for eccentric elements. They want their wedding to have all the attractive lights, action and drama. 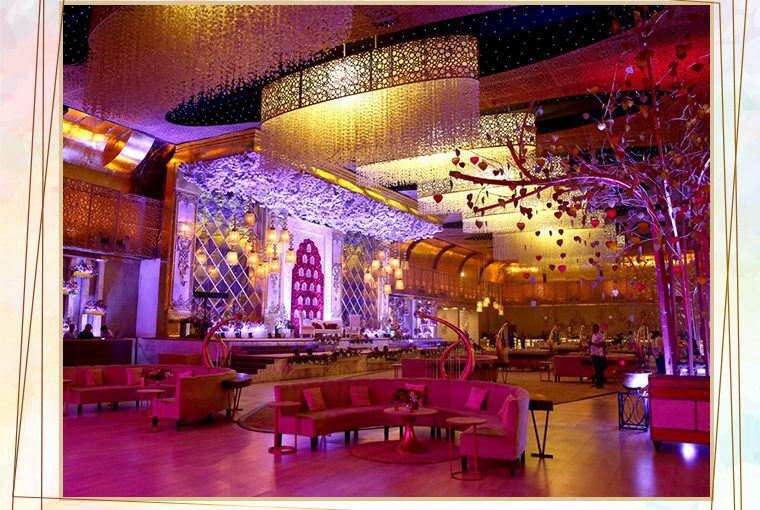 They are free-spirited and are keen on adding matchless elements to their wedding as well as pre-wedding functions. Last, but not the least, Pisceans are the most dreamy and impractical of all the signs. They want their wedding to be the most memorable affair not only for them but also for the people attending it. They are known for flying high and going all dreamy when it comes to selection of every aspect of their marriage. Also read: Which color bridal lehenga should you choose as per your zodiac sign?